Coach Sarah Waller Degar. Women's Brazilian Jiujitsu Coach. 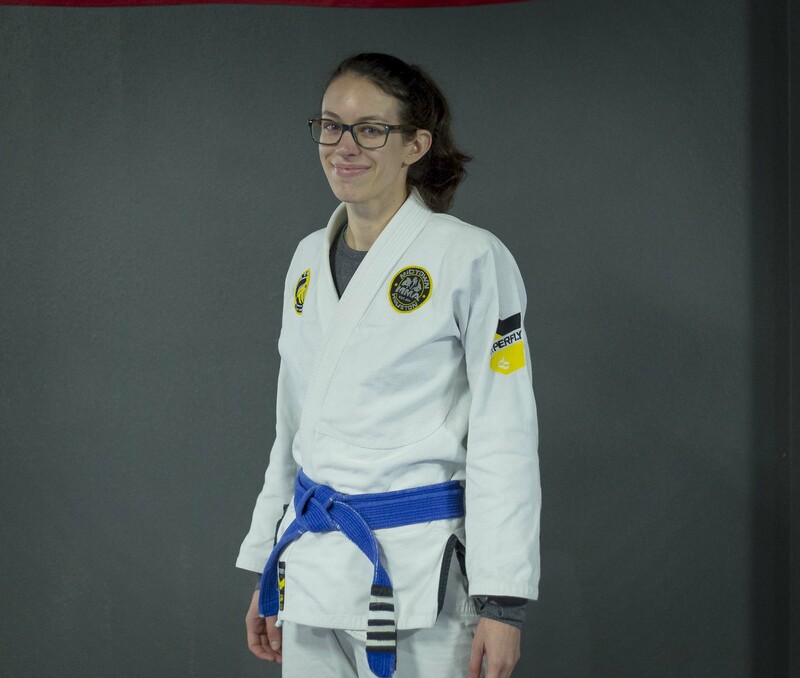 Sarah started jiu-jitsu in 2012 in Savannah, GA. After returning to her home state, she received her blue belt from Roberto Kaelin, and joined our team in 2016. She now teaches the women's only classes and has participated in women's events across Texas, sharing her enthusiasm of making jiu-jitsu more accessible to women. Sarah holds a Master's in Architecture and works at a local design firm.